The world watched as Ebola spread across West Africa in 2014, tearing apart families and shattering communities. With the death toll rising, a team from Liberia Red Cross, Body Team 12, and a Kiwi nurse, had arguably the most dangerous job – collecting the bodies of the victims. New Zealand Red Cross is proud to support the screening of the documentary Body Team 12 at the DocEdge Festival, both in Wellington and in Auckland in May 2016. 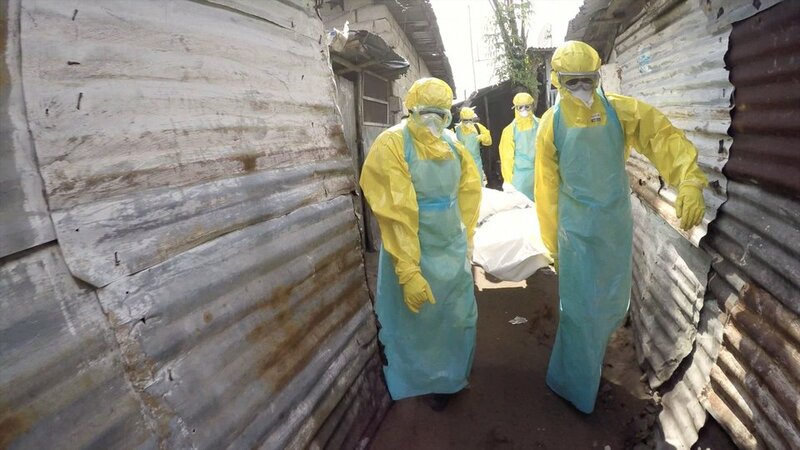 Body Team 12 follows a team of Liberia Red Cross nurses who risked their lives during the Ebola outbreak. In charge of removing the bodies safely and in a dignified manner, these heroes played a crucial role in preventing the disease from spreading. Days after an international request for assistance New Zealand Red Cross sent its first aid workers to the Ebola zone in Sierra Leone. One of the Red Cross nurses, Guru Dev Singh from Wellington, worked with the team featured in the documentary. As a Safe and Dignified Burial Coordinator, Guru was tasked to manage the safe and dignified burial of the bodies and train others in this area. Guru was among 18 aid workers New Zealand Red Cross deployed to Sierra Leone and Liberia to during the outbreak, among which were 14 nurses, one water and sanitation engineer, one community health manager and two safe and dignified burial coordinators. In this short film, David Darg presents the difficult job of managing dead bodies contaminated with Ebola without exposing single piece of skin. Scrubs underneath yellow overalls, a plastic apron, face mask, hood protection, goggles, two pairs of gloves and gumboots were the daily dress code keeping the Liberia Red Cross nurses alive when isolating the virus. Nominated for a 2016 Oscar in the Best Documentary Short Subject category and several other awards, this 13 minute long film will be screened at the 2016 DocEdge film Festival, at Roxy Theatre in Wellington on 7th and 9th May, and at Q Theatre in Auckland on 21st and 27th May. Each screening will be introduced by one of our New Zealand Red Cross nurses who helped during the Ebola response. To purchase tickets, and for more information, go to DocEdge Film Festival. This is your chance to get an inside look at the response to the worst Ebola epidemic in history. You have until Wednesday 27 April 2016 to email us your name and location at hello@redcross.org.nz to enter the draw to win a double pass. Find out more about our work overseas.